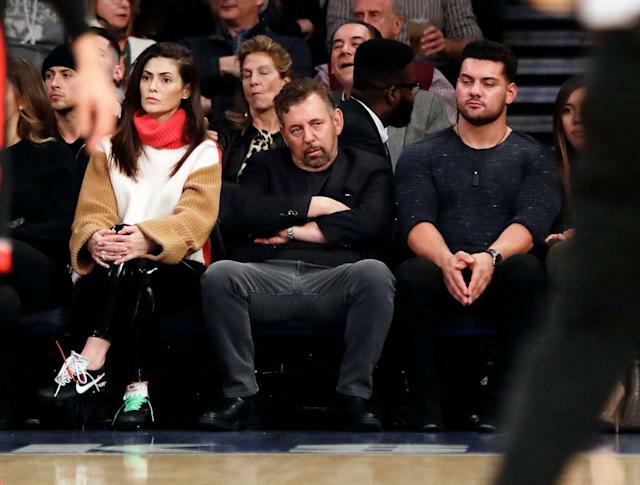 James Dolan sure knows how to endear himself to the New York Knicks faithful. A month after tearing it all down, again, by trading Kristaps Porzingis and more to the Dallas Mavericks, Dolan’s Knicks fell to a league-worst 13-53 record with a 102-94 home loss to the Sacramento Kings on Saturday. At some point, Dolan walked off the Madison Square Garden floor and was confronted with a message that he has to have heard hundreds of times by this point: sell the Knicks. Dolan went out of his way to take revenge on the fan who yelled the message, with the interaction captured on video obtained by TMZ. Dolan: You think I should sell the team? You want to not come to anymore games? Dolan: No, it’s not an opinion, and, you know what, enjoy watching them on TV. Clearly, Dolan understands that it is not an opinion, but a fact that he should sell the team. The video concludes with Dolan’s security team arranging for the fan to be kicked out of Madison Square Garden. Per TMZ, witnesses said that two cops and Knicks security came over to ID and question the fan before kicking him out of the stadium. Apparently such a policy becomes quite aggressive when that “anyone” is the team owner. There you have it, Knicks fans. Not only is your team the worst in the league, but you’re not even allowed to suggest that the man who put the franchise in such a position be removed.